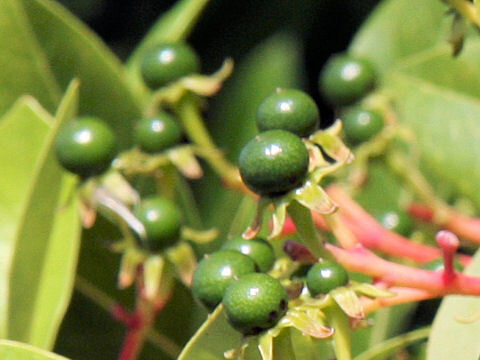 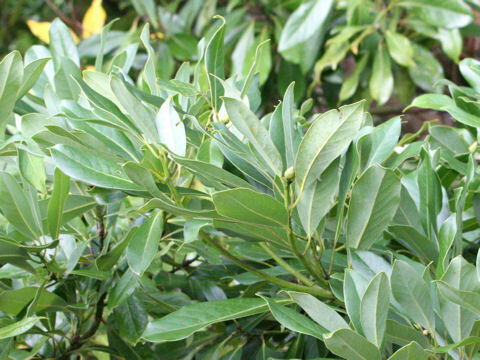 "Tabuno-ki" (Machilus tunbergii) belongs to the Lauraceae (the Laurel family). 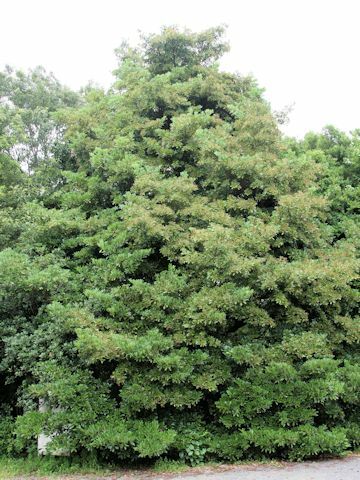 It is a tall evergreen tree that is native westward from Honshu to Shikoku and Kyushu of Japan, as well as the southern Korean Peninsula. 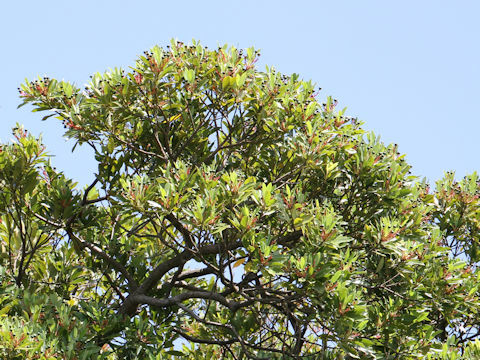 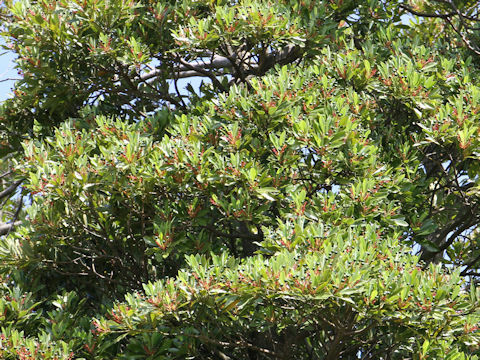 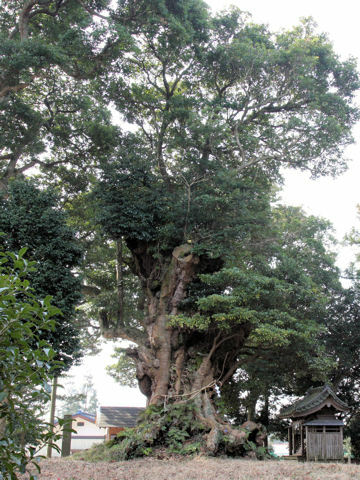 This tree grwos in coastal area can reach about 20 m in height. 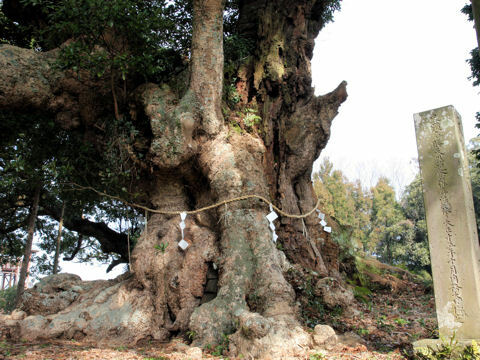 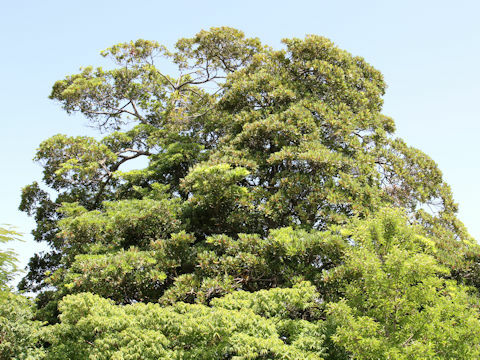 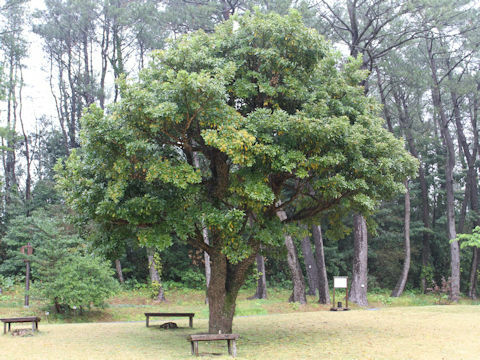 It is a typical species of Japanese warm-temperate forests. 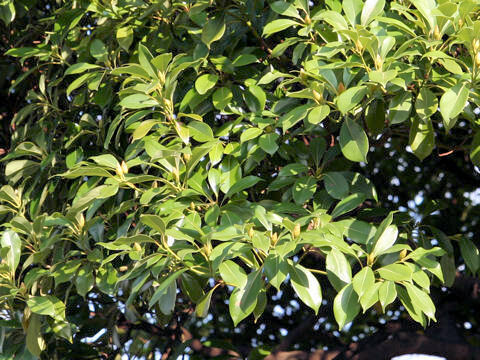 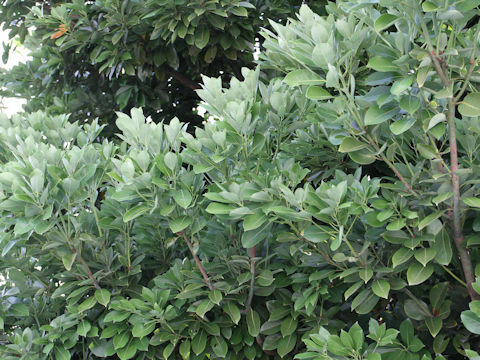 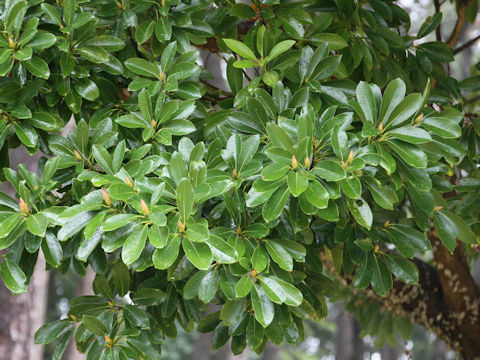 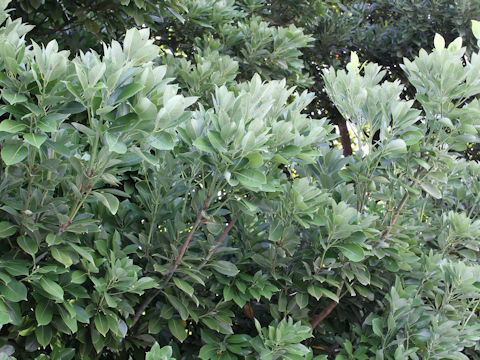 The leaves are obovate-oblong, altenate and entire. 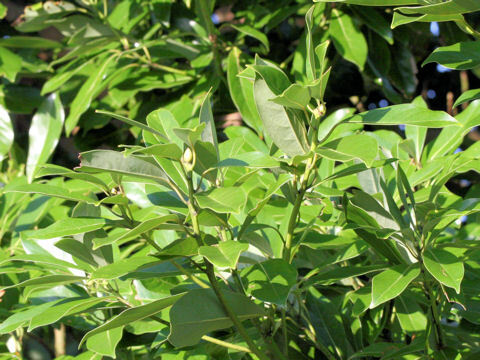 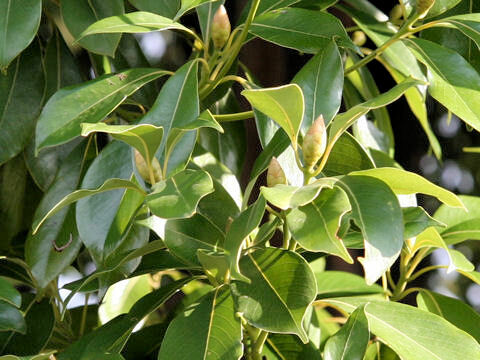 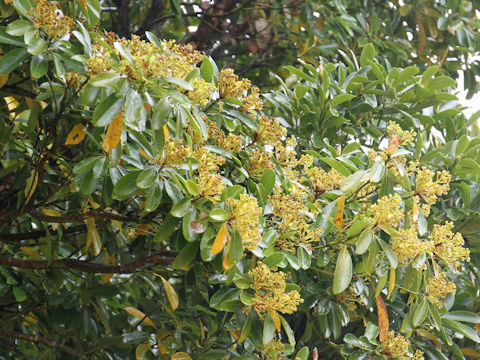 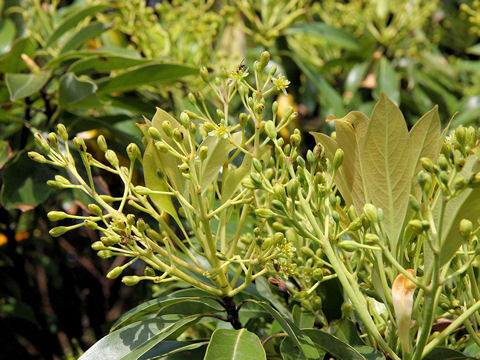 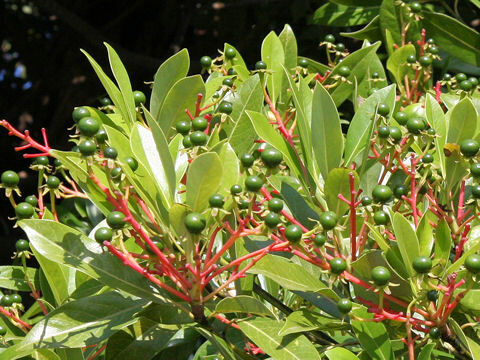 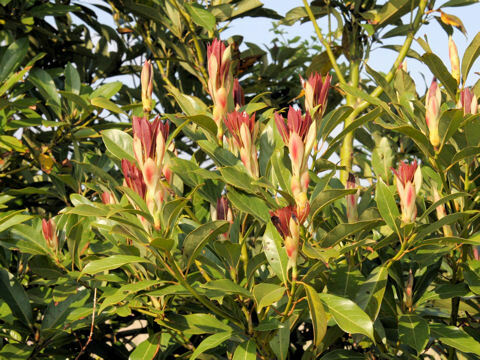 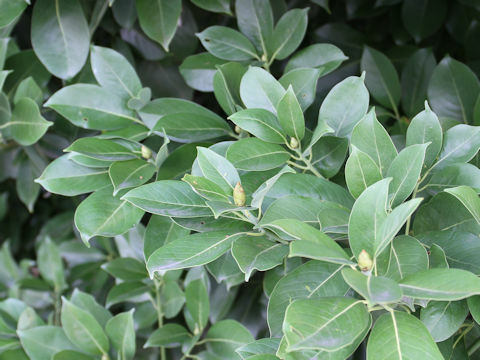 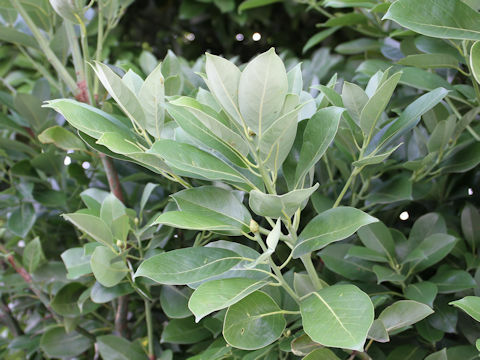 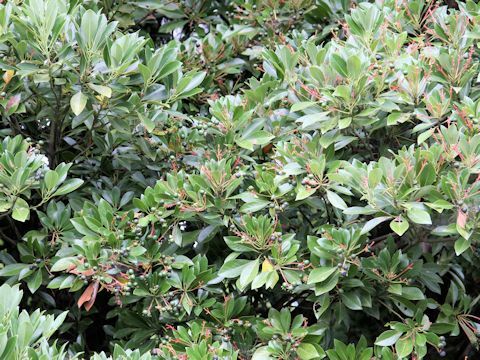 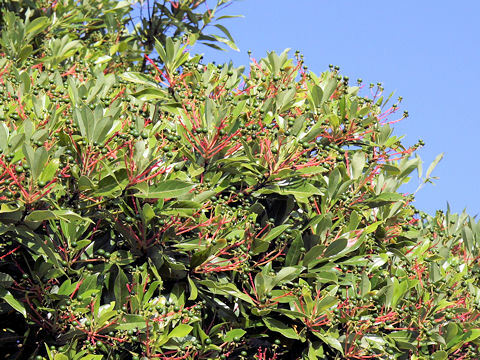 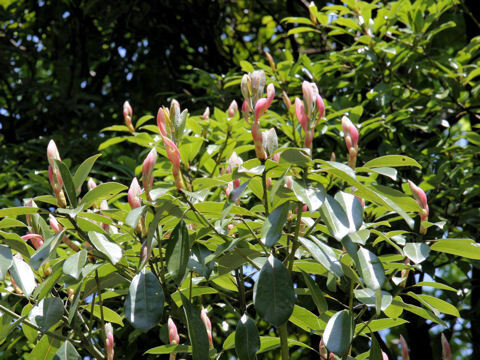 The winter buds are compound bud that bear clusters and young leaves in spring. 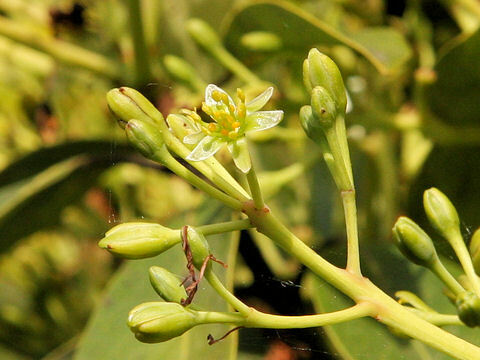 The yellow-green flowers come in panicles from April to May. 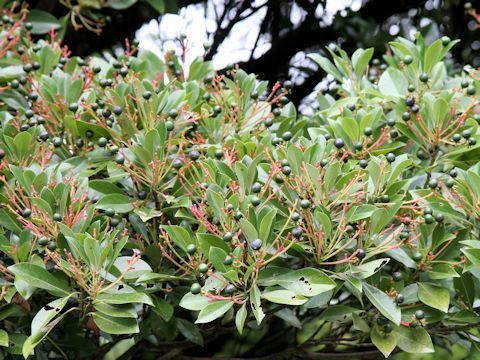 The fruits are global berries and ripen in black-purple. 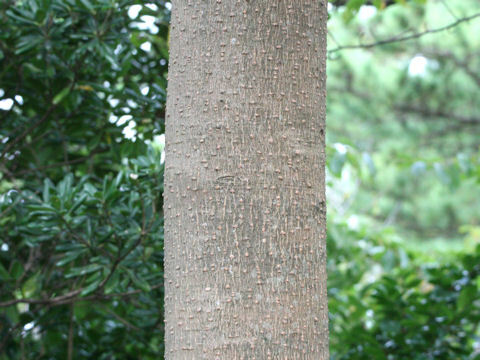 The bark contents tannin and used for dyewood in the Hachojo Islands.